While about 10,000 MW is expected to be from wind power, the balance is to be realised by solar and other renewable energy systems. The Electricity Act 2003 clearly mandates state electricity boards to adopt minimum percentage for procurement of electricity from renewable energy sources. Accordingly, about 13 state electricity regulatory commissions have initiated action to meet this requirement. Realising this vast potential, we have built this solar photovoltaic power plant under the framework of Renewable Energy Certificates (REC) launched by Government of India through Central Electricity Regulatory Commission (CERC). The framework is to allow the project developers in solar energy to sell electricity to any licensee or on open market at the standard rate and sell environmental component in form of REC on the power exchanges at market rates, but within pre-decided range. 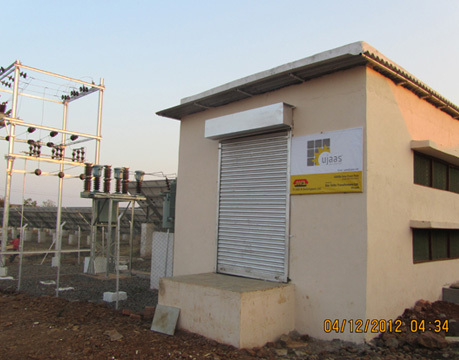 Generated power will be sold to private power licensees in the state of Madhya Pradesh. 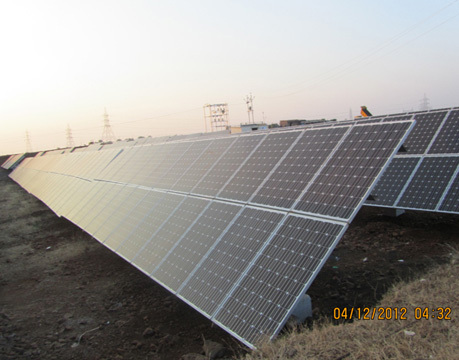 The plant site is situated in the district of Rajgarh in Madhya Pradesh, India. 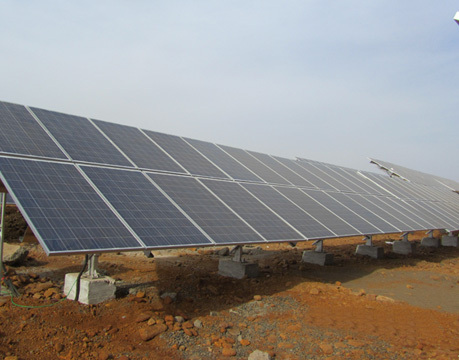 The district has been identified independently by MPUVN as having better potential for putting up gird connected solar power plants, considering solar insolation and quality of grid. Entire district is reported to receive fair amount of sunshine throughout the year. The solar farm site topography is generally a flat terrain.Power will be sold to the private licensee in the state as per the terms of power purchase agreement to be made between producer and the licensee. India is a tropical country and is endowed with sunshine. 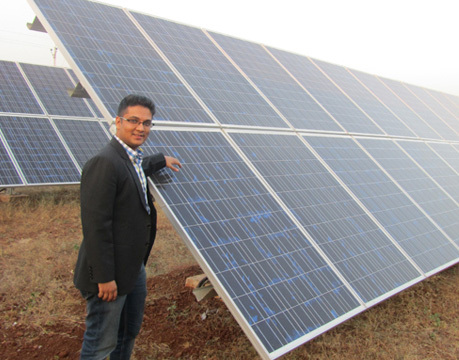 In the post fossil fuel world, solar energy will encompass all aspects of our life. 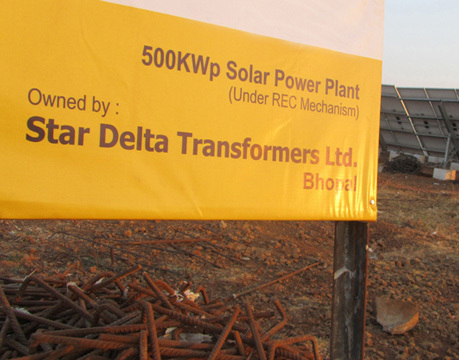 Realising this vast potential, Star Delta Transformers Ltd. (SDTL) & M/s GUPTA SONS, BHOPAL (GSONS: sister concern of SDTL) has setup a grid connected solar power generation plant in the district of Rajgarh in Madhya Pradesh. 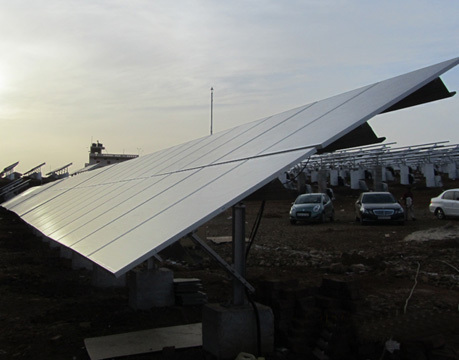 SDTL and GSONS now hold a significant role in Solar REC with total installed capacity of 2.25MWp in its Solar Power Plant at Rajgarh, MP. 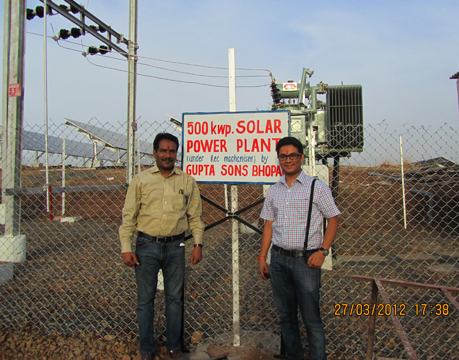 M/s Gupta Sons became the second in India to trade Solar RECs in the month of June, 2012. Ministry of New and Renewable Energy, MNRE, GOI has been promoting new and renewable energy sources in a big way in India. Government of India envisages 14,000 MW capacity additions during 11th five year plan (2007-12) from renewable power generation. Total investment of over Rs.70-75Crores($ 13 million) by FY15. 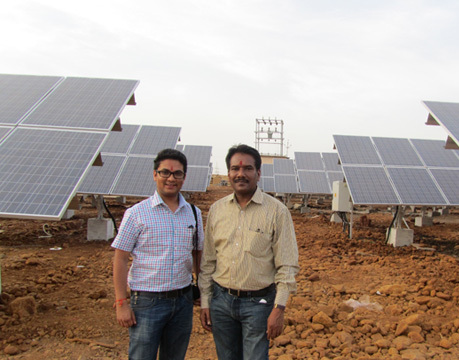 Aim to become a Leading player of Solar & Renewable Energy in MP. SDTL is looking in Solar Power through both – PPA (Power Purchase Agreement) with Govt& REC (Renewable Energy Certificate) Mechanisms. 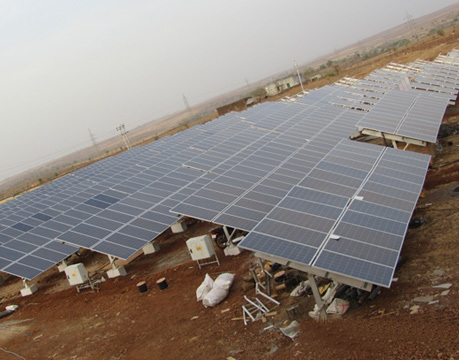 SDTL is planning to expand many folds in the Solar Power Generation by setting up its Solar Park. SDTL is looking for strategic business partners, tie-ups, collaborators, financers, investors; Venture Capitalists, etc. for growth of its new venture.